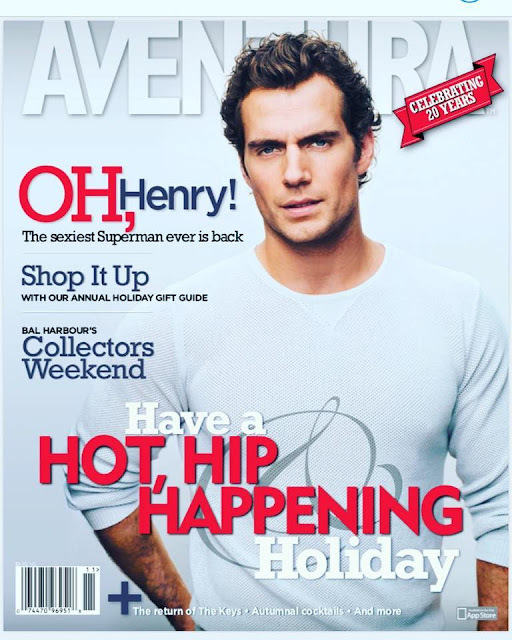 Henry Cavill News: Aventura Magazine: "The Sexiest Superman Ever Is Back"
Aventura Magazine: "The Sexiest Superman Ever Is Back"
A big thanks to Aventura Editor, Lori Capullo Lawrence, for letting us know that Henry is on the cover of the magazine's November issue. Henry has been living in South Florida part-time and was just there helping with Hurricane Irma's recovery effort, so we're not surprised that he's featured in the regional magazine just in time for the Justice League release. *Chuckles* Oh, Henry! The sexiest Superman ever!... Yes. It's true. What a nice cover pic! He's so handsome... *kisses* D.